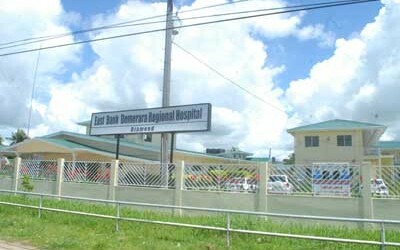 The Ministry of Health has reportedly launched a probe after a complaint that drugs, believed to be worth hundreds of thousands of dollars, were being systematically stolen from a Regional Hospital on the East Bank of Demerara. The investigation was sparked after a female security guard attached to a private firm, allegedly refused to carry out pharmaceuticals from the compound for a relative who works at the pharmacy section of the Regional Hospital at Diamond. The female security guard has since been ejected from working at the Institution. The drugs, Kaieteur News was told, were sold over period of time to pharmacies. Yesterday, the hospital’s Chief Executive Officer, Kevin Mana, confirmed that the security guard was asked to leave the hospital premises last Thursday but said it was after a domestic altercation with her relative. He could not confirm that the hospital had been probing a complaint over stolen drugs from the guard. However, an official from the office of Public Service Minister, Dr. Jennifer Westford, disclosed that one was made last week to the Minister. 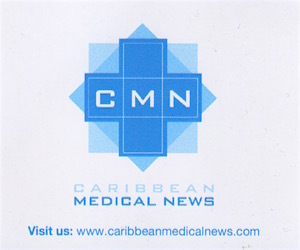 The Minister has since forwarded the complaint to the Ministry of Health where it is being investigated. This newspaper was also told that in July, the guard was approached by her relative who is in charge of the hospital pharmacy, to take a bag home. Both live at the same address. However, the guard opened the bag and allegedly found several bottles of eye-drops and other medications. She refused to take the bag home. She reportedly later gave a statement to a senior management official. Mana was on leave at the time. Kaieteur News was told that the incident may not have been the first and that the stolen drugs were allegedly being sold from the Craig home of the pharmacy official over a period of time. The security guard reportedly gave a statement to a senior doctor at the Regional Hospital but apparently nothing was done. The alleged theft, if true, would raise alarming concerns over the internal systems of control at the hospital.